It was actually a great, early start to ski season writing and blogging for me and a reminder of all the wintry fun ahead. Really got me back into mountain mode, especially when my son, who is living in Canmore, near Banff at the moment, told me they just had their first September snow! Look out for more articles from me for Style Altitude over the season - I'm one of the team now and you can see my bio at: http://stylealtitude.com/style-altitude-team.html . The magazine is all online, specializing in unique concepts and original commentary from an eclectic team of snow-mad editors and writers who all ski or snowboard. Some of them are even ski/ride swingers, including Shreditor, Elaine Deed who is a former fashion editor and director for the British Evening Standard newspaper, W Magazine, Cosmopolitan and Tatler. Follow her on Twitter at @Stylister. Elaine is also a fashion stylist - http://www.elainedeed.com/- so if we ever meet, I think we will get on really well .... until I ransack her wardrobe, that is! The magazine is based in the French Alps for most of the year with contributors from all over the mountains. 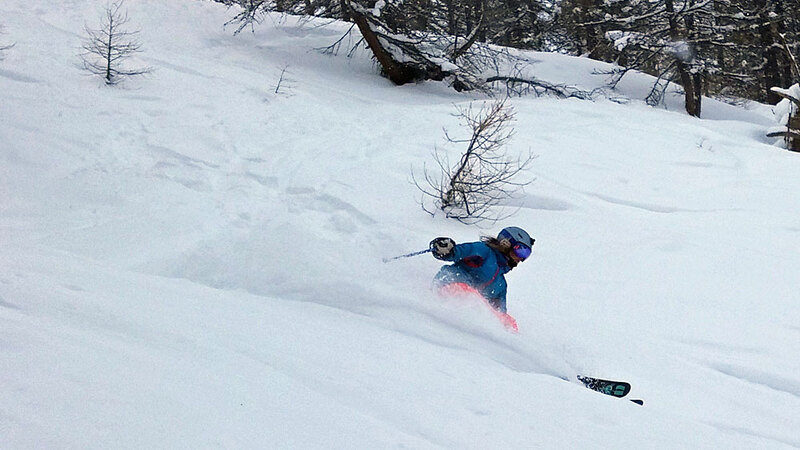 "Style Altitude is for all riders, aimed at both skiers and snowboarders," says Elaine. "And for cyclists in the mountains during the summer." It also spans every generation from 18-year-old Seasonaires (which I used to be) to 80-year-young Geezonaires (which I hope to become). 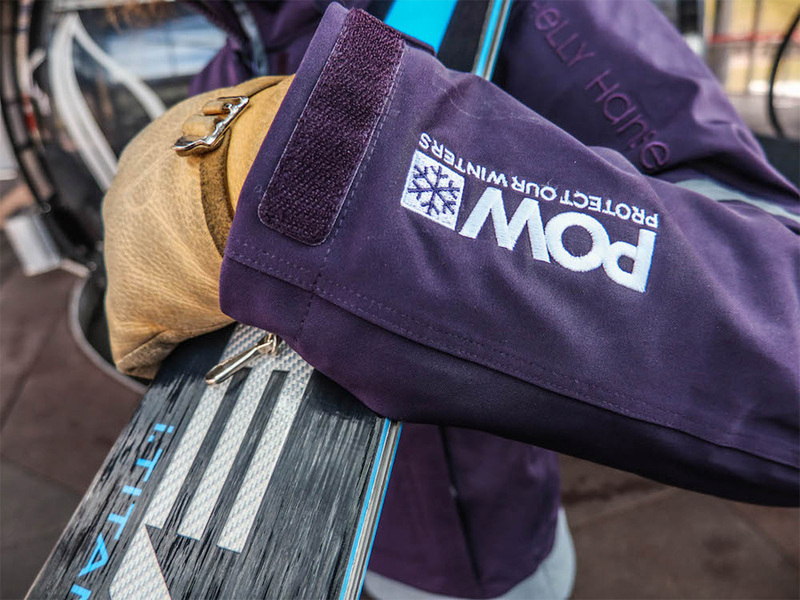 As well as featuring piste, park, pipe, touring, slack, sidecountry and backcountry, Style Altitude focuses on gear that has both function and fashionable flair. I'm trip planning at the moment, kicking off with a mountain month in Canada starting mid December, when I hope to ski Lake Louise, Sunshine, Mt Norquay and Nakiska and also venture into British Columbia to the Powder Highway and maybe even further to Whistler Blackcomb. 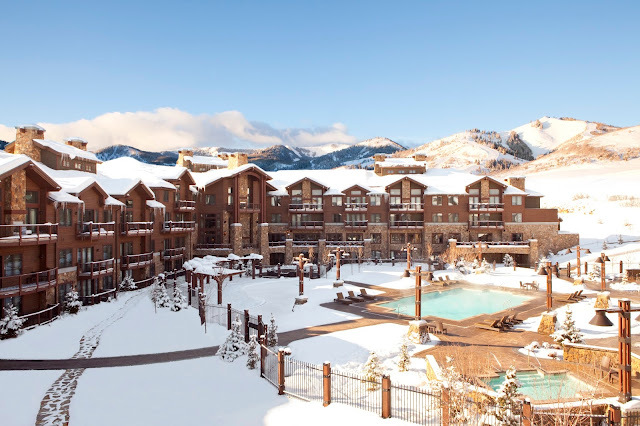 After that I'm traveling to tantalizing Telluride for the first time ever at the end of January, followed in Feb by a nostalgia trip to Tahoe, which I will be revisiting after a 26 year absence! I hope to ski a variety of resorts including Northstar, Heavenly, Squaw Valley, Diamond Peak, Homewood and also stay at Clear Creek. Waldorf Astoria Park City - suites are bigger than an apartment and there's a private gondola up to Canyons Village! In March, it's back to Utah when the wonderful Waldorf Astoria Park City is hopefully on the agenda, with great skiing from Canyons Village all around Park City and, just up the road, at Deer Valley and then on to Solitude. 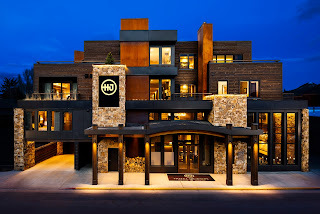 Next, it's the Hotel Jackson at Jackson Hole where I first went to do the incredible Elevate women-only ski camp - I'm taking hubby, Dr Simon Hudson, this time. He has never skied there and was totally jealous when I went last time! 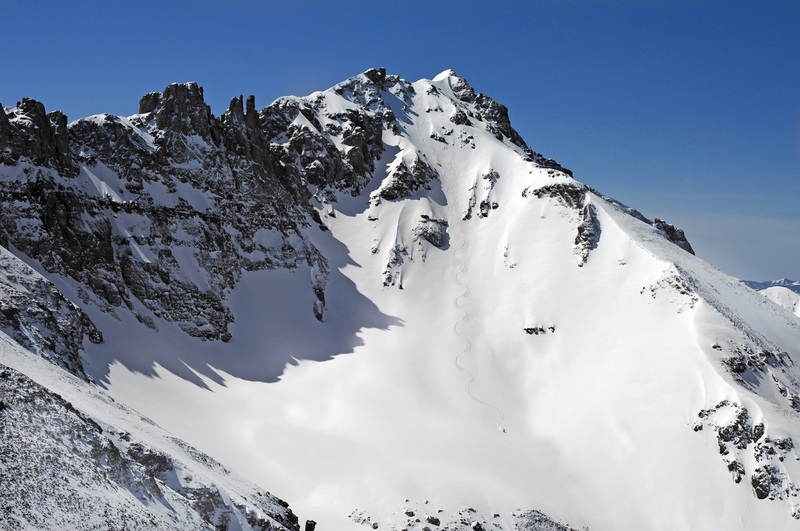 No idea where I will ski in April yet but I definitely intend to get some sensational spring skiing in. 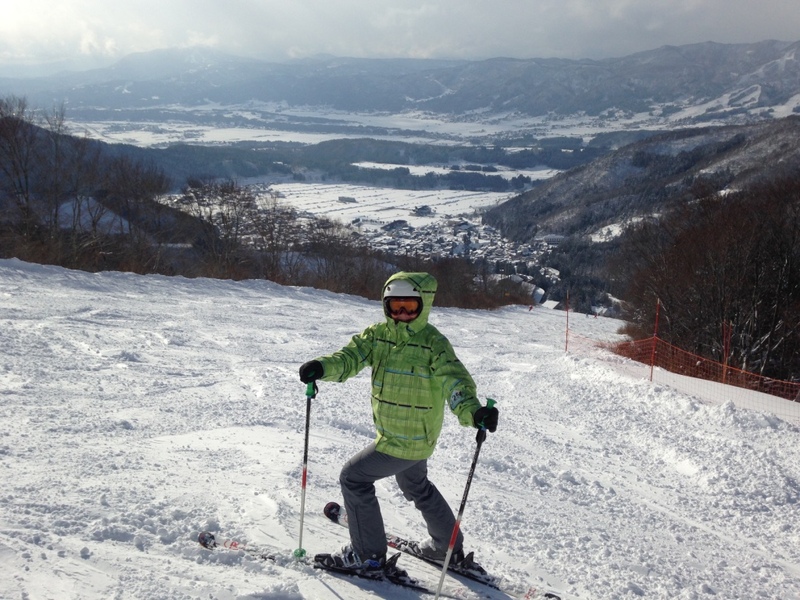 Me, in head-to-toe rental ski outfit at Nozawa Onsen - I know, I look like a boy! Now you can see why I favour fur hoods and belted jackets! By the way, I forgot to mention this article which was published right at the end of last season in Eat Drink Travel mag, all about my Japanese skiing experience with Scout Ski. You can read it here: http://www.eatdrinktravel.com/ski-japan/. Word of warning: book early for Japan, it gets booked up a long time in advance! I've been working on articles for Calgary's Child and The Dallas Morning News, so look out for links to those as the season starts to kick off - you never know, your favourite resort could be featured.